In the interests of the environment there is no sand this year, but all the other delights of Paris Plages are back. This celebration of the joys of the seaside has been running for fifteen years and is now better than ever. 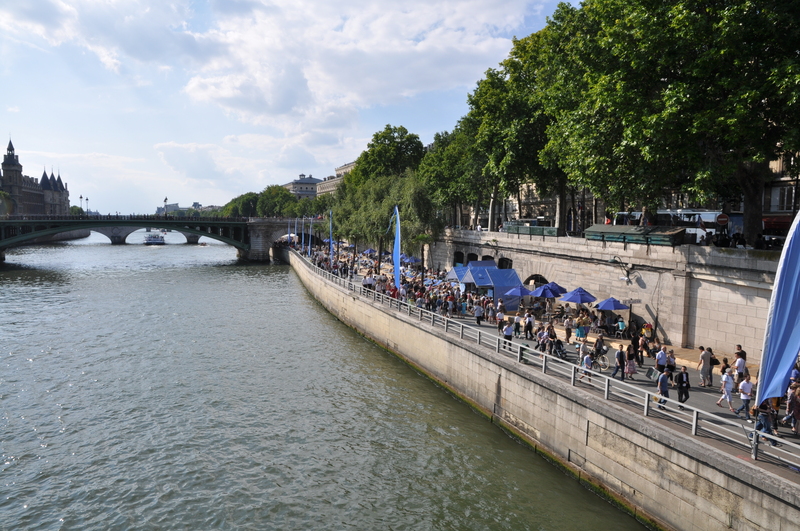 Imagine the capital transformed into a pop-up beach resort ... Every summer, stretches of the right bank of the Seine and the Bassin de la Villette are transformed into places of leisure, fun and relaxation. Other spots have also taken up the Paris Plages concept, notably the Louis Lumière Stadium in the 20th arrondissement and the Elisabeth Stadium in the 14th. Everyone is invited to partake of the pleasures of summer for free. You can find the sports, games, entertainment, activities and open-air cinema of Paris Plages on the forecourt of the Hotel de Ville, pure moments of idleness on the Voie Georges Pompidou and the joys of swimming and other water-based activities in the Bassin de la Villette, where an XXL swimming pool and 4 open pools await you every day from 11:00 to 21:00! You can also enjoy table football tournaments, beach volleyball, tai chi, pedalo rides, dance workshops and a free library so you can read on the grass in the shade of palm trees. Beach umbrellas, deckchairs, sunbeds and plenty of refreshment booths selling cool drinks and snacks will help to make your summer complete.